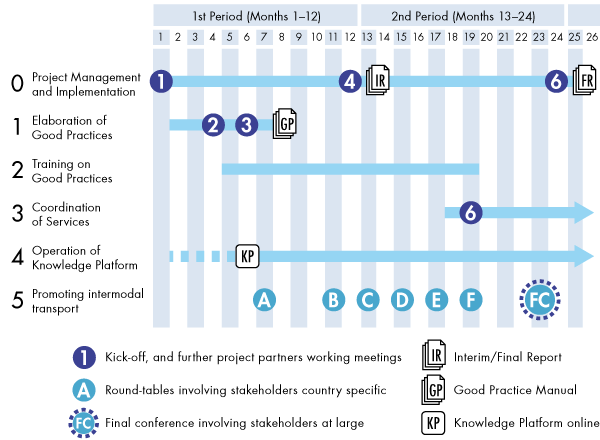 The following graphic is visualising the project’s set-up, made of six work packages (including management and dissemination) that will commence over the project lifetime of 24 months. 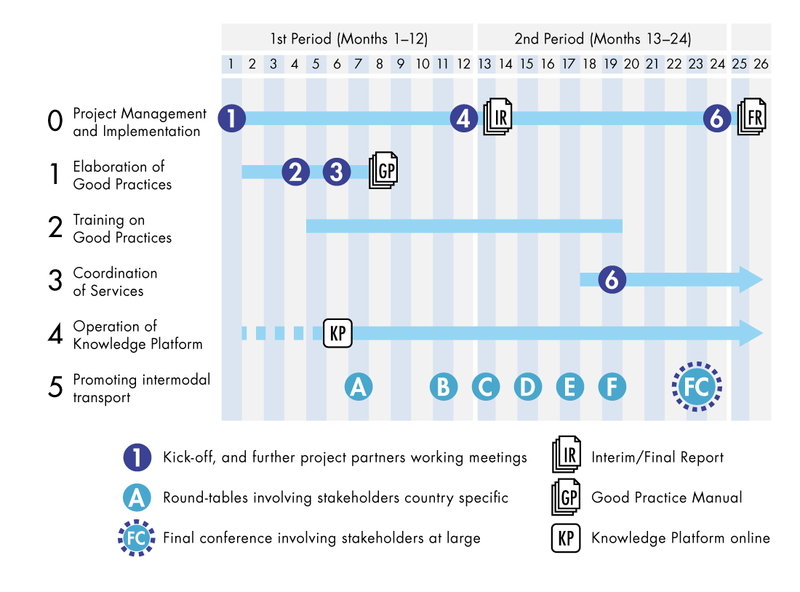 The plan composes of in total 6 workshop meetings of the project parties (numbered 1 to 6), several training courses at “home”, six (numbered A to F) round tables and one financial conference involving also other stakeholders. Two of the modules, the “coordination mechanism of services” and the “knowledge platform” include the investigation of opportunities of a viable and self-sustained business model for continuous operation even after the end of the project.